Mercreus and I ventured into the arena, not quite sure what to expect. And what we found were a bunch of teams who made clever use of the terrain. Priests who stayed out of line of sight. Night elf hunters who stealthed until you got close and then unleashed on a poor squishy mage. Other pairs of hunters teaming up on the same poor squishy mage. Just a bunch of clever mechanics, no one willing to fight one on one (or two on two as it is in 2v2). I don't claim to be good at PvP. In fact I know I'm not even close to being good. But I do know how a mage can attempt to survive - control your opponent. I don't have an instant pyroblast, so I can't nuke them, and when I can sheep someone once, they can break it with an insignia, and then they're immune, or very unlikely to be sheeped again, what chance do I have? Warriors rush me and there's nothing for me to do. No ice block, no way to survive as a fire mage. It's just so very frustrating. Thankfully I probably won't have to do this for too long. There's not too many items that will be upgrades and I'm not going to visit the trainer to relearn my talents to survive in an arena. Fortunately, the Violet Eye has fully accepted me as one of their own and I have acquired the Violet Signet of the Archmage. Being an enchanter, I can put some extra spell damage on it and until I am able to venture into Serpentshrine Cavern or The Eye, I have the two best rings available to me. I think the only two spots I can upgrade are my shoulders and feet. I will probably get the Arena Season 2 shoulders when Season 3 begins and for my boots, I will continue to pray the Maiden drops them in Karazhan. Because there's no way I'm going to earn 40 marks of honor from Eye of the Storm. And then once I'm set and ready to go, I will be able to venture into the rumored ruins of Zul'Aman and look for upgrades there. Earlier today, Mercreus and I decided to fight a new battle - the Arenas. We have teamed up as a 2v2 squadron and are known as Mushrooms of Doom. We practiced with a few skirmishes and didn't fare so well. It's pretty tough fighting against two other players as a mage and hunter. Both of us are ranged attackers, so once someone is able to close the gap, it's all over. Add to that the presence of healing on the other teams and we are usually outmatched. I'm fragile and without healing, die quickly, leaving poor Mercreus all alone (the other team usually targets me first). Hopefully we will be able to improve our strategy and put up a good fight. 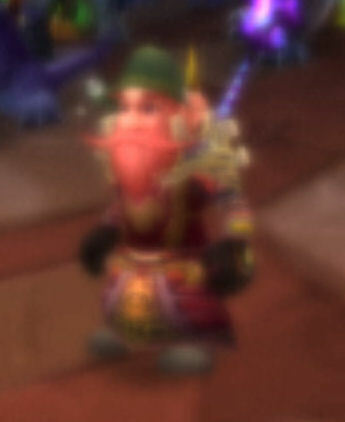 I certainly know that the vendors will not equip me with the best gear unless I can prove myself. Today should be an interesting day for me. Last night, my comrades and I were finally able to defeat the malevolent Prince Malchezaar living above the tower in Karazhan. After defeating him and further earning the respect of the Dalaran archmages, we proceeded on towards Terestian Illhoof. But before then, Harkor requested I utilize my pony keg and I proceeded to get a little drunk. After killing Illhoof and his annoying minions, we decided to summon Nightbane. Not a good idea. He made quick work of us and we decided to call it a night. It was yet another fruitful night as we defeated two enemies that had previously eluded us. It brings conclusion to a fruitful week that started a few days ago with the killing of Attumen, Moroes, The Maiden, Romulo and Julianne, The Curator, and the Shade of Aran. 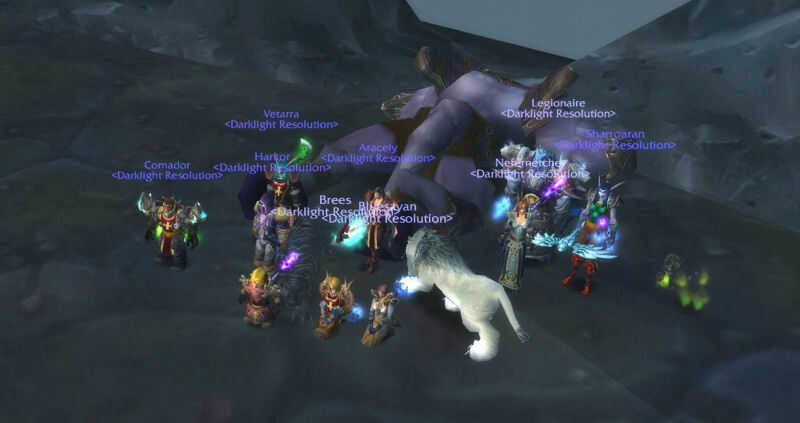 Congratulations to Legionaire, winner of a beautiful new Nathrezim Mindblade. Brees was also the big winner on the night finding her Tier 4 helm dropping from the Prince in the form of the Justicar Diadem.